Ornamental grasses are the perfect addition to any garden, modern or traditional. They offer texture and in some cases dramatic form to add height and structure to any border. Some of the larger grasses, for example Cortaderia selloana can be planted as specimen shrubs. Whether planting singularly or in groups the grasses give movement to the border and provide late summer and autumn interest. Leaving the seed heads on to catch the frosts of early winter adds yet another dimension to the border. 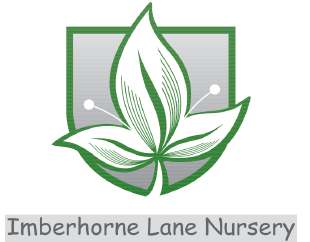 Welcome to ‘Imberhorne Lane Nursery’ we are situated in East Grinstead, West Sussex. We grow and supply a wide range of plants including Camellias, Acers, Bamboo, Hostas, Hardy Ferns, Conifers, Peonies, Roses, Shrubs and a wide range of Herbaceous perennials and seasonal bedding. The nursery is open to the public 7 days a week from 9am to 4.30pm; in addition we offer a comprehensive mail order service throughout the UK and EU countries. © 2019 Imberhorne Lane Nursery Plant Centre.